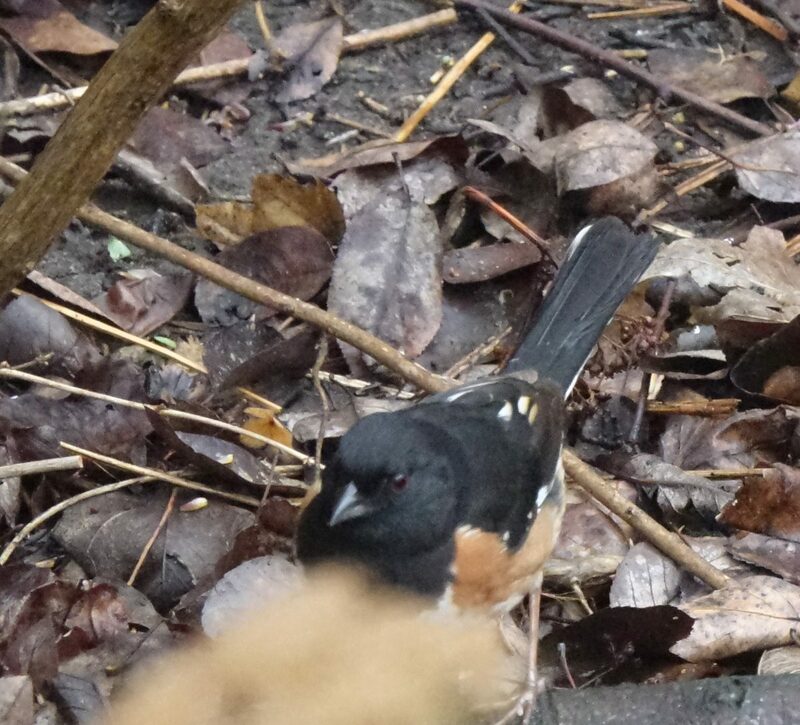 This colourful towhee is a fairly common bird in most of southern Ontario, usually found in dry shrubby vegetation, but sometimes coming to feeders in winter. Most go south in winter, some as far as the Gulf states. 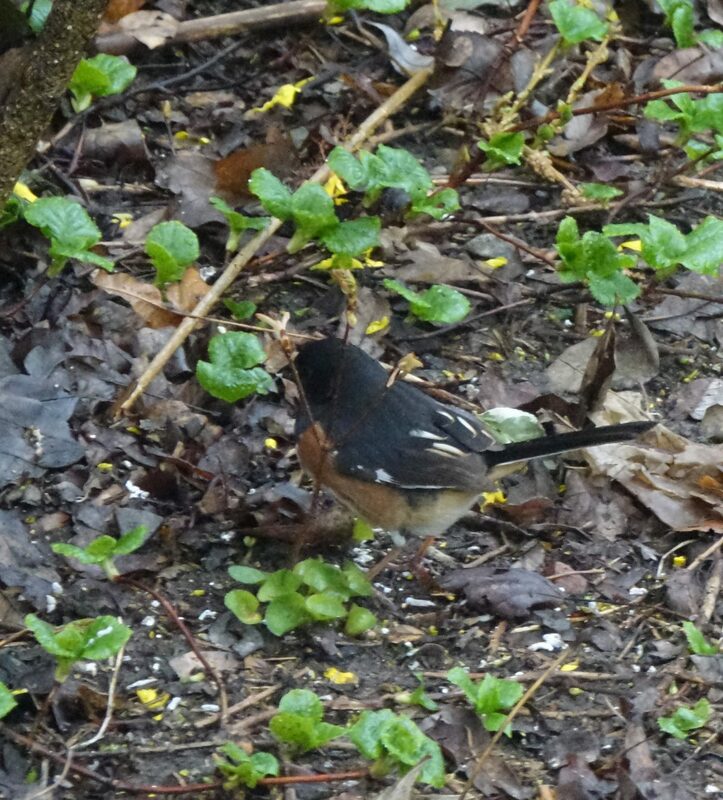 Males superficially resemble small American robins, with their black heads, rufous sides, but the belly is white and the outer tail feathers are much more broadly tipped with white. 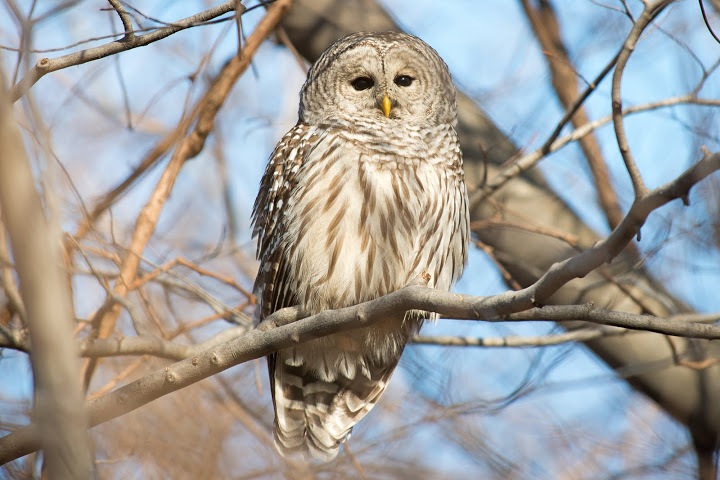 Females have a similar pattern to the males with the black replaced by brown. The common call is a loud “wheee” (rising in pitch) and the song gives it its name “Too-wheee-ti-ti-ti”, resembling some cardinal songs but more nasal, not as sweet and clear as the cardinal’s song. 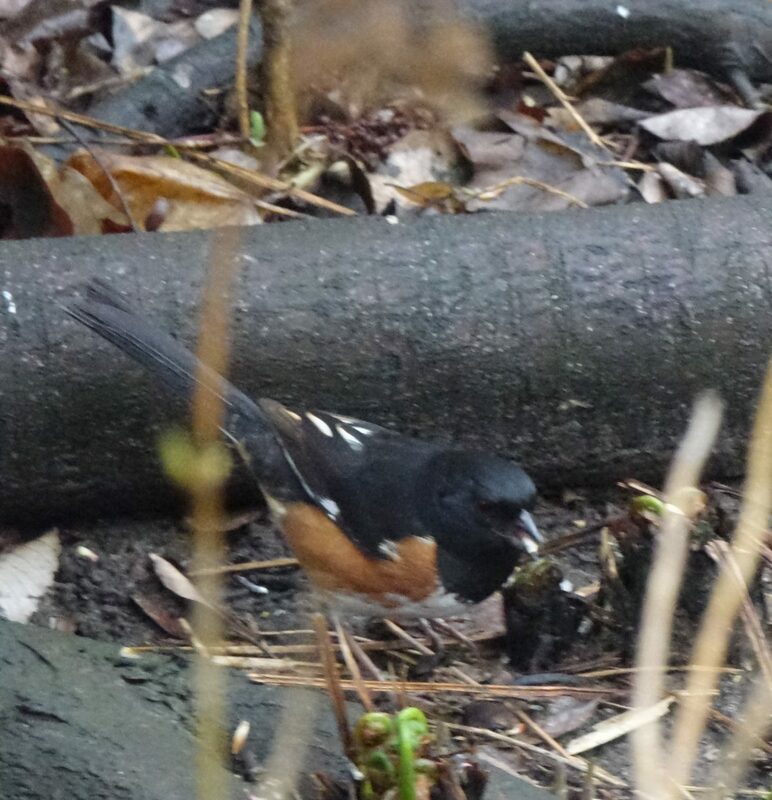 Towhees are great scratchers, and often betray their presence scattering beds of fallen leaves. 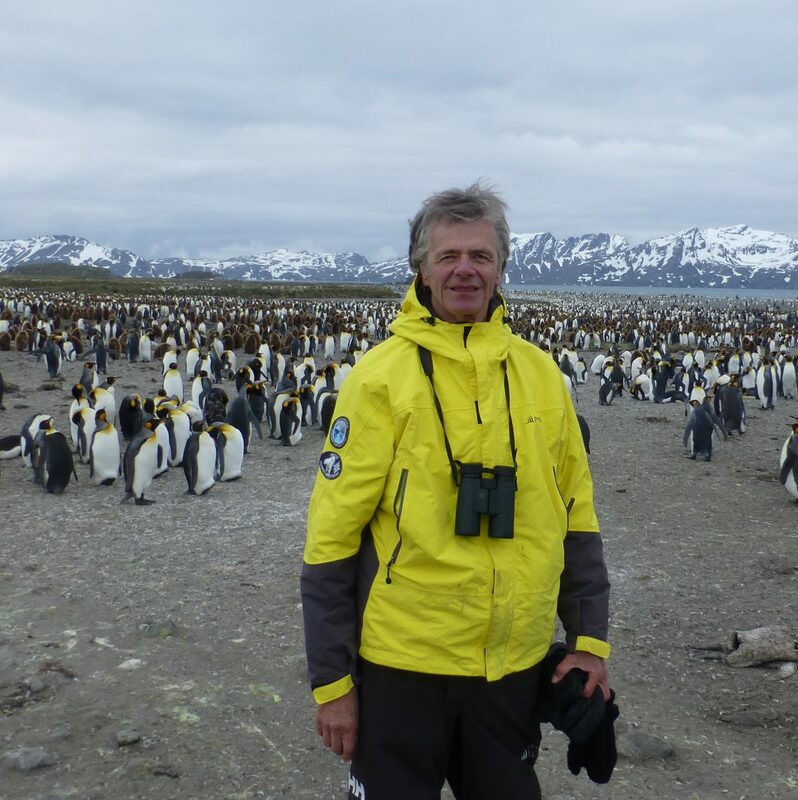 This entry was posted in Friends of Miles on April 23, 2017 by milesghearn.